Here at Spitfire Girl Headquarters we think blogging about the opening of our new store is perfect for our first blog entry. It’s been a dream of mine for so many years and I can’t believe it’s finally open. 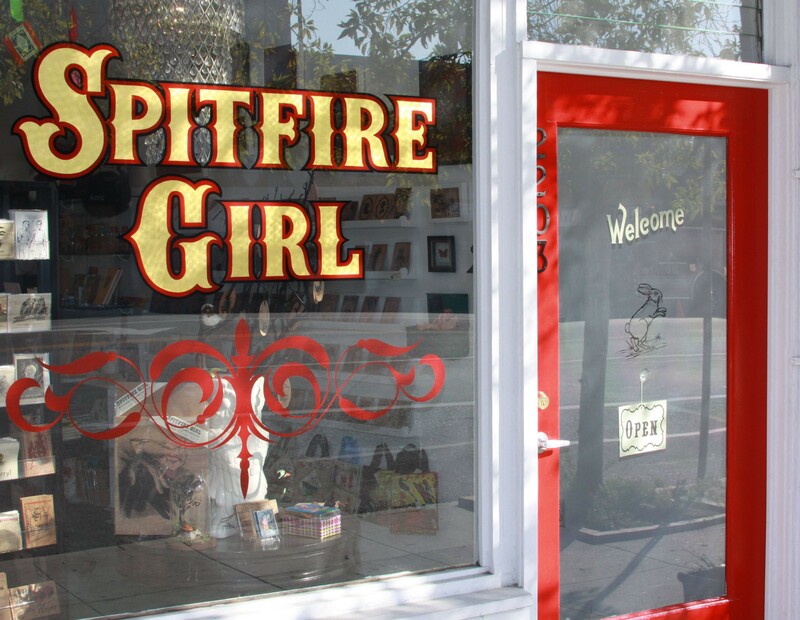 Spitfire Girl is stocked with all our wonderful signature wares as well as unique goods from my favorite fellow vendors that I have met along the way. Our new storefront is located on Sunset blvd in the heart of Echo Park giving it a wonderful urban and artsy feel. It feels totally right to have landed in Echo Park; after all it is the neighborhood I first moved to when I plotted myself in Los Angeles when I was a wee lil’ baby, all of eighteen years old. Look at me now mama, now the fun really begins. This entry was posted in The Store, Uncategorized and tagged spitfire girl store by admin. Bookmark the permalink.